Get your Futurity Snaffle Bit with Antique Detail and Futurity Snaffle Bits today made of unmatchable craftsmanship. 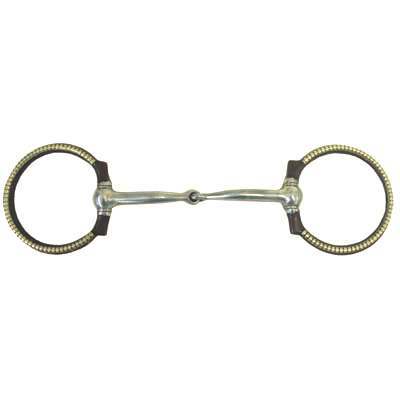 This specific Futurity Snaffle Bit with Antique Detail happens to be one of our best sellers. It is not just made of impeccable craftsmanship but we also offer them at an affordable price to help you save. This Futurity Snaffle Bit applies pressure in a snapping motion with it's rings and mouthpiece are offset by antique detail. This Snaffle Bit measures 2 3/4'' rings and 10 1/2mm mouth. When buying a Futurity Snaffle from us you can rest assured that the Horse Futurity Bit you are purchasing is made to last.